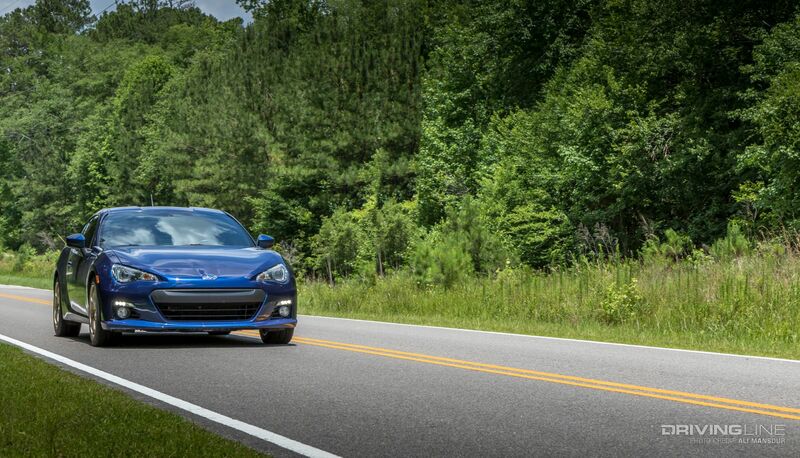 When it comes to the Subaru BRZ, the front engine, rear-wheel-drive car is extremely impressive out of the box. Sure, the 200-horsepower boxer engine could benefit from a little forced induction, but there’s no denying that this is one well-balanced car. Possibly the one area that falls a little short are the stock wheels and tires. From a cosmetic standpoint, they’re pretty boring. In terms of performance, they are definitely underwhelming. This is mostly due to the fact that Subaru understands that not everyone is looking to push their BRZ to the limits on the track. 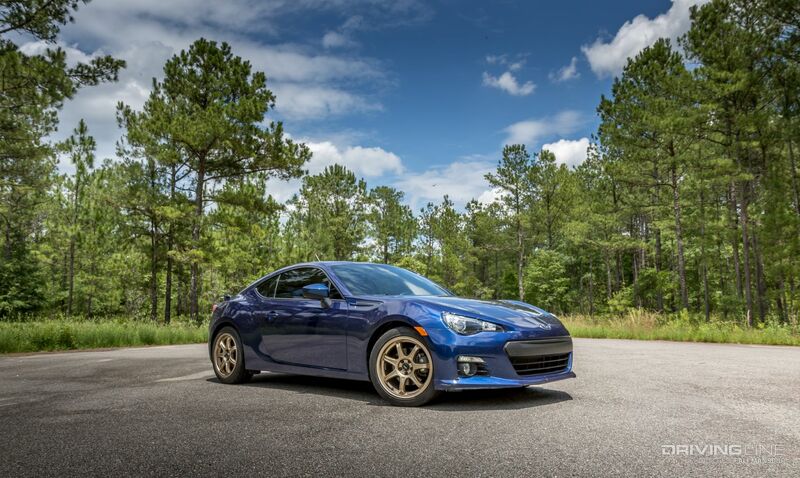 For our 2013 BRZ, we wanted to find a tire and wheel package that would work well for an assortment of spirited driving conditioning, such as autocross and track days. Obviously, they needed to be practical for street driving as well since this Subaru isn’t a dedicated race car by any means. To get an idea for what was available, we spent some time cruising Discount Tire Direct. There, we were able to browse through an assortment of different tire and wheel configurations for our car. 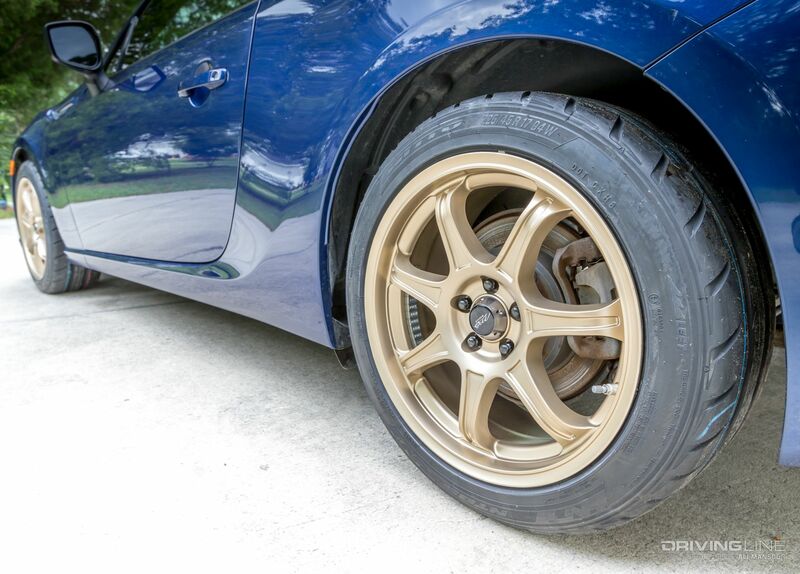 We ultimately landed on a set of 225/75R17 Nitto NT05 tires and 17x8 MB Wheels Revolts in a matte bronze finish. Since we were getting tires and wheels, we opted to have Discount Tire Direct mount, balance and fit them with new TPMS (tire pressure monitoring system) sensors that were specific to our BRZ. In less than a week, we had our tires and wheels delivered directly to our door—a service that anyone who’s ever tried to haul around tires and wheels in a car will greatly appreciate. Admittedly, anytime we have something as large as this shipped to us, we are nervous about the condition it arrives in. Thankfully, Discount Tire Direct's shipping department didn’t skimp out on protective packaging. The new wheels came balanced, aired up and literally ready to install. Given the MB Wheels Revolt wheel is cast aluminum, we didn’t add any unnecessary wheel weight to the car. Since we opted for new TPMS sensors, we didn’t have to break down the old wheels. However, you will need to recalibrate your Subaru’s computer to recognize the new sensors. You can do this via the dealership or with a handheld downloader. We went for the NT05 as it’s one of the most performance-oriented summer tires you can buy. It’s designed specifically for those who need a tire that can handle the extreme demands of a race track and be at home on the highway. From Formula Drift masters such as Vaughn Gittin Jr. to daily driven muscle cars, the NT05 is known for its incredible grip. 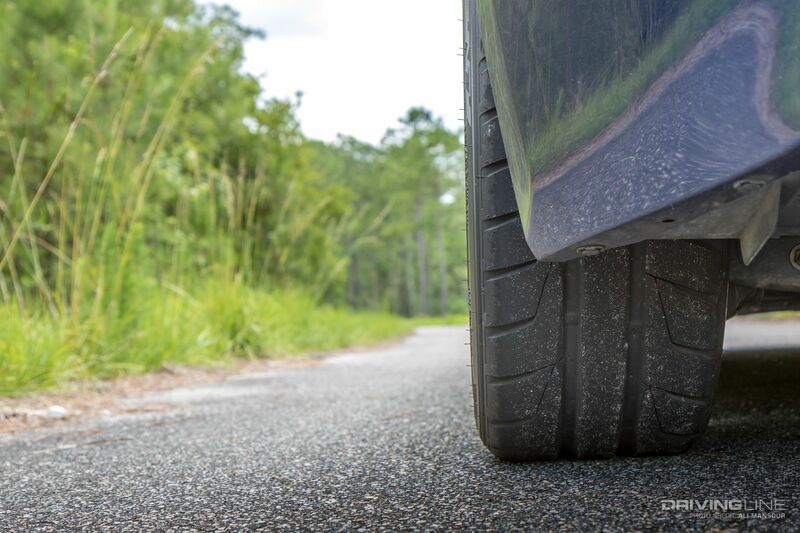 Since the NT05 is a directional tire, you’ll need to ensure that you have your driver and passenger tires sorted correctly. This directional tread design was the result of advanced computer simulation and real-world testing. While it makes rotating the tires a little more challenging, the performance payoff is well worth it. Since the wheel bore of the MB Wheel is different from that of the BRZ’s hub, we needed to install a hub-centric ring set. We got ours (part #73-5615) from Discount Tire Direct and were able to simply press the rings in by hand. Our new wheel set came with new lug nuts and splined lug key. Since the Subaru is mostly stock, we were able to use a standard floor jack and jack stand to swap on the new wheels. Be sure to torque the lugs down to 89 ft-lbs and re-check after a hundred miles or so. 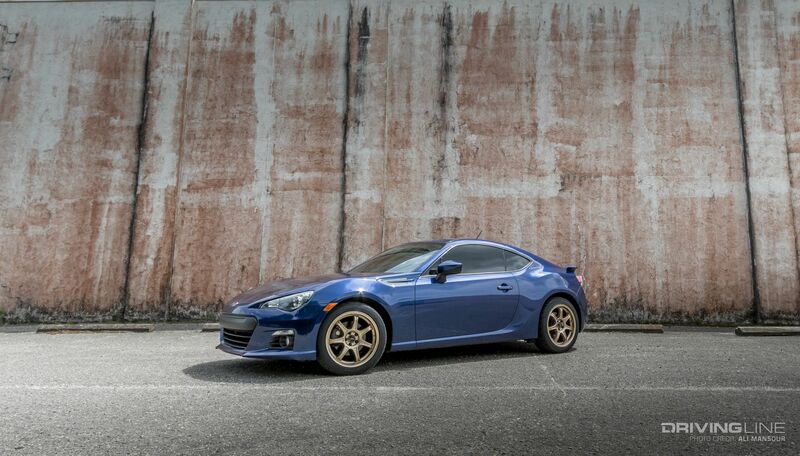 The Revolt series wheel in the 17x8 has a 42 mm offset, which is ideal for our BRZ. This puts the wheel close to flush with the wheelwell and doesn’t require any type of wheel spacer or adapter. Going with a slightly wider 225/45R17 tire provides us with a larger contact patch, which equates to more grip. It’s also important to note that we were able to run this size tire without having to do any suspension or wheelwell modifications. 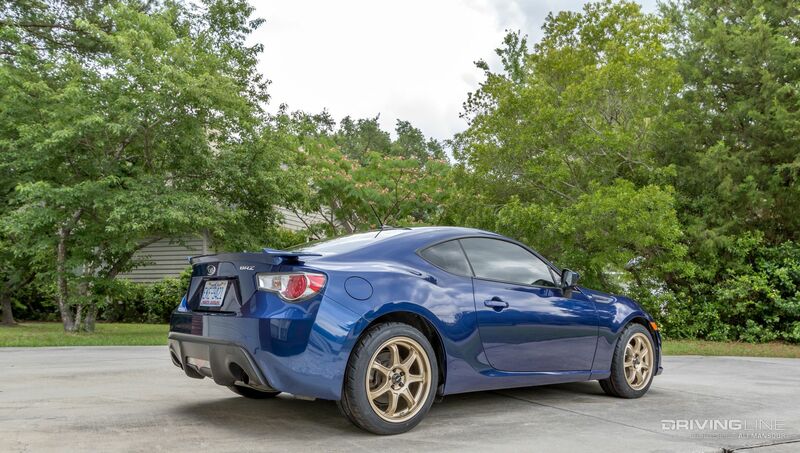 Wheel choices can be very subjective, but we’re really digging the matte bronze finish with our Galaxy Blue Silica BRZ. While we could have gone with a slightly larger wheel, we prefer this balance of tire-to-wheel. In the hot and humid southeast, it didn’t take long to warm up the tires and get them broke in. Without question, the NT05s stick to the road. From braking to cornering, the car is more responsive. While we haven’t had a chance to put them on the track yet, we have a mix of miles on them in good and bad (wet) weather. Thankfully, the NT05s keep composure in the rain. In fact, we haven’t experienced any white-knuckle driving conditions to deter our confidence in the tires. 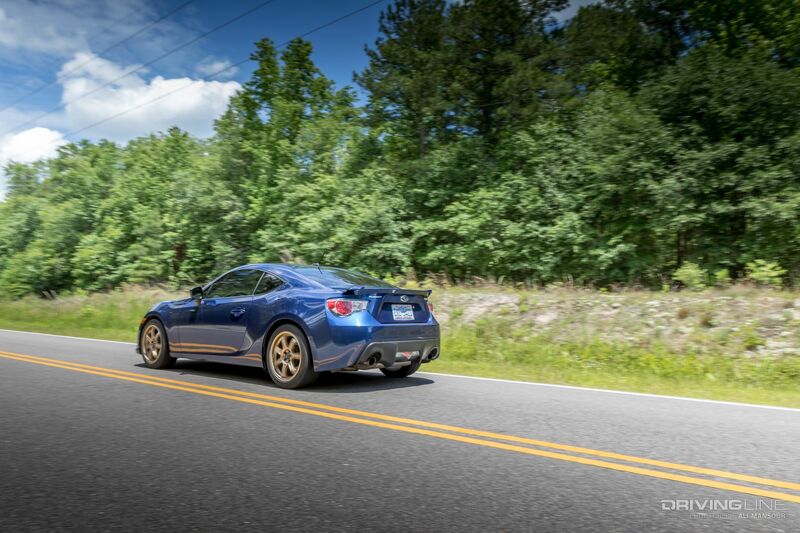 While the BRZ is no powerhouse, it’s well-served with a set of treads that can actually deliver grip when you put the pedal down. We have some fun adventures in store for this car, so be sure to check back soon to find out how the NT05s are working. To see the installation in action, watch the video at the top.